instrument rated pilot, with single engine land seaplane and land ratings. Randy is a tremendous asset to aviation in Minnesota. He is the father of three great young adults, all of whom are very important to him. He is an ATP MEL, ATP SEL, ATP SES, CFI, CFII, MEI and a Gold Seal Instructor. He just completed terms as President of the Minnesota Seaplane Pilots Association, where he helped positively transform that organization. He is a FAASTeam Lead Representative and Field Director for the National Seaplane Pilots Association. He has over 10,000 hours flight time and over 2,000 hours seaplane time. 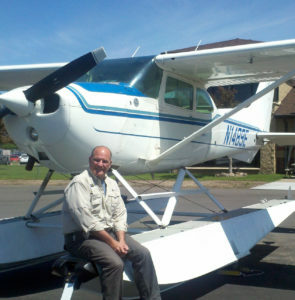 Randy is owner of Air Trek North Flight School and Maintenance with Minnesota locations at KLVN, KFCM and KSGS. His formal education includes a BS in Electrical Engineering and an MBA in Marketing. He has served as marketing director and engineering director for Emerson Electric, Inc. He has served as a City Commissioner and was Vice President of the Minnesota Seaplane Pilots Association,before becoming President. Jim Peterson, owner of Aware Financial, flies throughout the Upper Midwest to meet his clients. He provides business continuation and estate planning advice and modeling. He is an attorney and inactive CPA who specializes in both income and estate taxation. Jim has a deep technical, but practical, background in dealing with family and closely held businesses, particularly the family dynamics and estate planning implications surrounding a successful ownership transition. His planning recommendations are implemented through his clients’ local accountants and attorneys. Jim started flying hang gliders and ultralights switching to certified airplanes to get his private pilot certificate in 1977. He is an instrument rated private pilot flying his Cirrus SR22 out of KANE. 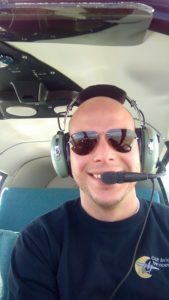 Michael Lawrence lives in Lino Lakes, MN and currently works as the Operations Manager for Premier Jet Center’s FBO at KFCM airport. He previously managed Key Air’s FBO at KANE from 2008-2017, until it was sold to another operator. He graduated from Winona State University with a degree in Business Administration and earned his private pilot certificate. He owns a Piper Cherokee, hangars it at KANE, and is studying for his instrument written test. He has served on the board of directors for the Anoka County Aviation Association, the Minnesota Business Aviation Association, the Minnesota Aviation Trades Association, and the MetroNorth Chamber of Commerce. Patrick Halligan was born and raised in north Minneapolis. 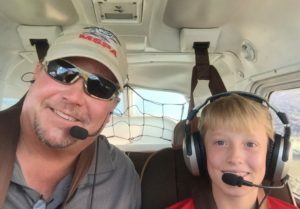 He started his flying lessons at Anoka Airport with Jerry Wolfgram Jr. whose dad owned the flight school, soloing as a high school senior and then receiving his private pilot license. Pat attended the University of North Dakota (UND) and graduated in 1976 with a B.S. B.A. and a major in aviation, graduating with his commercial and instrument ratings. He took his CFI training at IFT, located at the St. Paul Downtown Airport and worked as a flight instructor at the Beech Center at Flying Cloud and then went to work for Waldo Anderson at the University of Minnesota Flight School at Anoka Airport. While teaching flying lessons at Anoka he was picked by the MN Air National Guard to attend pilot training. He spent a year at Reese Air Force Base in Lubbock, Texas and flew the T-37 and T-38. After graduation he returned to MN and flew the C-130 for the MN Air Guard, serving as a co-pilot and aircraft commander. While flying for the Air Guard Pat was hired by Republic Airlines in 1980. Serving as a flight engineer, Convair 580 co-pilot and captain, DC-9 co-pilot and Northwest captain of an Airbus before retiring from with Delta Airlines, after going through the mergers with NWA and Delta. For the past twenty years Pat has been involved with EAA Chapter 25 at the Airlake Airport. He was chapter president for 3 years back in the early 2000’s, helping turn the chapter into a well-financed organization. He remains on the chapter’s Board of Directors. He serves as banquet “chairman for life” and the scholarship committee leader having started 3 scholarships. Pat is one of three owners of a Pietenpol that is being built as a chapter project. Pat is serving his second, 3 year term on the MN Aviation Hall of Fame BOD, also serving as scholarship committee chairman. Pat owned a hangar at the Airlake Airport, has owned a Cessna 172, 182 and was part owner of a Hawk XP on floats. Pat has been a memberof the Prescott Flying Club where he flew a Cirrus. At the current time flies a 1978 BE-55 Baron. rated wife, Jan, and ATP rated son Bryan who flies with Sun Country Airlines. Steve Thibault began flying at the age of 15. He attended the University of North Dakota, which is where he first began his flight instructing career. 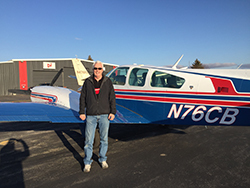 After graduating from UND, with aviation and business degrees, Steve returned to the Twin Cities and began instructing at the Anoka County Airport. Since then, Steve has made the training of pilots his profession. During his 37 years of flying and his 32 years of flight instructing, Steve has accumulated over 18,000 hours of flight time, provided more than 17,000 hours of flight instruction in airplanes and 2,000 hours of instruction in flight simulators, has given an unknown number of hours of ground instruction, and has flown over 100 different types of airplanes. Steve is the owner of FlightProficiency, a flight training company and co-owner of Sim Flite Minnesota, a simulator company located at the Anoka County Airport. In 2015, the FAA named Steve the “CFI of the Year” for the Great Lakes Region. Mike learned to fly in 1969 in Hawaii. He attended the University of Montana, completing a degree in Wildlife Biology in 1974. 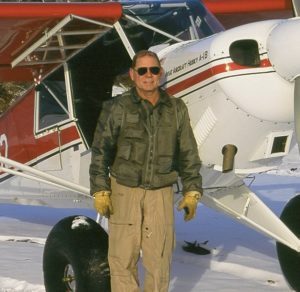 He subsequently worked for the US Fish & Wildlife Service as a Wildlife Biologist and as a Wildlife Biologist/Airplane Pilot for the next 31 years. More than twenty nine of those years, he worked in Alaska, where he used airplanes on wheels, floats and skis supporting projects in wildlife research, animal population census and law enforcement in many areas of Alaska. In December of 2005, Mike retired from the Fish & Wildlife Service to accept a position at the University of Minnesota, Crookston, coordinating and teaching in the Aviation programs there. In May of 2013, Mike retired (again) and he and he and his wife moved to Bozeman, Montana, where they now reside. Mike’s latest airplane is a highly modified Cessna 175. Mike holds a Commercial pilot certificate, with ratings in Airplane, single engine land and sea, and multiengine land. He is a flight instructor, with Instrument and Multi engine privileges. He is a Master Flight Instructor Emeritus and Serves on the Board of SAFE, the Montana Antique Aircraft Association, serves as President of the Montana Pilots Association as well as serving the Board of the Minnesota Pilots Association. Mike’s passion for aviation started when he was very young. Mike’s Dad took him to his first air show at their hometown in Iowa at the age of 10. That show made an everlasting impression so deep that at 14, Mike rode his bike to the airport for two weeks straight and bugged the owner for a job washing airplanes and cleaning hangars just to be around airplanes. He traded his work of washing airplanes for flying lessons and received his Pilot’s License on his 17th birthday. Forty years later, Mike has accumulated more than 25,000 flight hours and has qualified in more than 40 aircraft. He keeps a very busy schedule as a full time air show pilot flying the Lucas Oil stunt plane April through November. 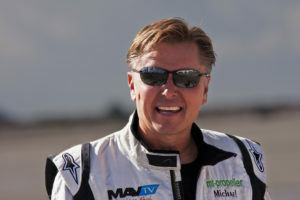 Mike was a 2002 U.S. National Aerobatic Champion, and a member of the 2004 U.S. Aerobatic Team. His excitement for aviation and willingness to share his experience with people around the country is nothing short of contagious in his attempt to help encourage kids of all ages, to not only dream, but to live their dreams and never give up! Mike owns and operates West Metro Aviation at the Buffalo Municipal Airport (KCFE). He is serving his second term on our board of directors.